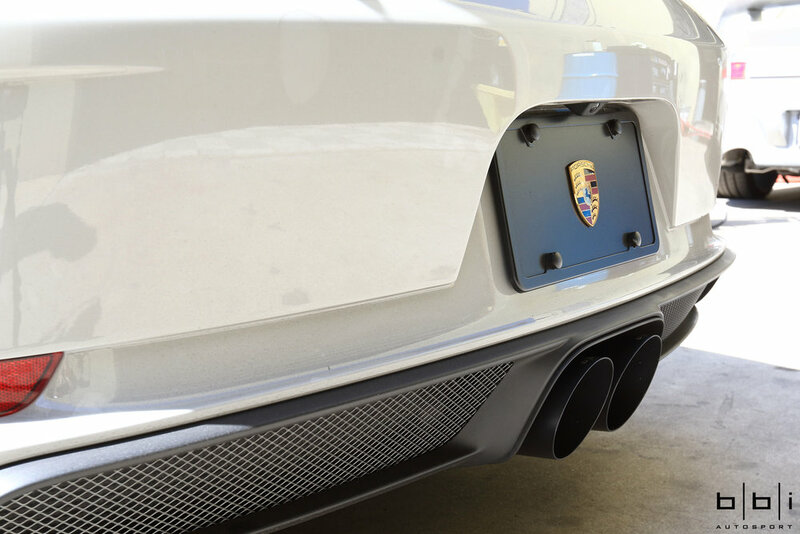 We installed our BBi StreetCup Center Section Exhaust on their client's newly delivered 2018 Chalk Porsche 991.2 GT3 to give it a more aggressive sound and reduce weight. 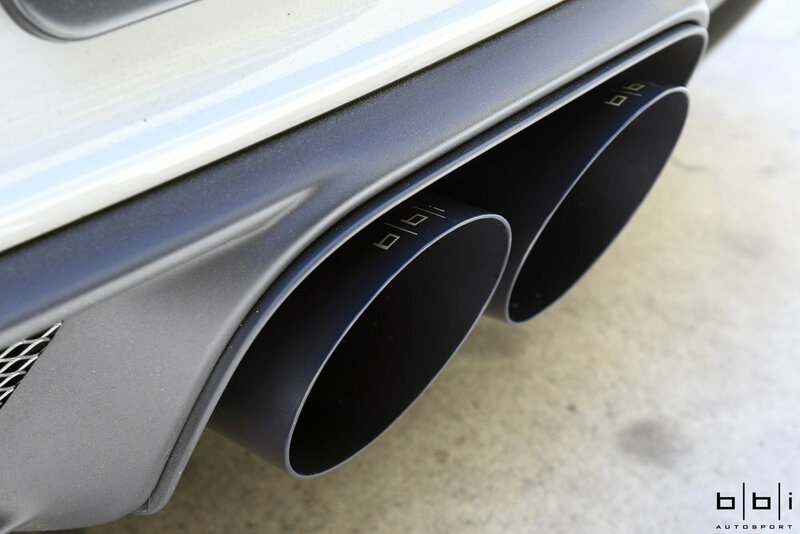 Made in the USA, the exhaust is TIG welded out of brushed T304 stainless steel and features the main pipes merging in the middle to function as an x-pipe. By retaining stock side mufflers and valves, the factory "sport button" feature is kept to conveniently switch back and forth between the aggressive "sport" mode during spirited driving sessions and the quieter, more civil "non-sport" mode for minimal noise on the highway. While the bumper is already removed, we also upgraded to the BMC F1 Replacement Air Filter to help the engine breathe a little easier. Compared to the restrictive factory filter, itis made of a washable cotton material that provides nearly 40% greater airflow than paper, enclosed in an alloy mesh screen which helps the filter keep its shape and protects against larger debris and dirt. The increased flow of air through the filter provides a steady stream of clean air to the engine, resulting in much more consistent and efficient power.